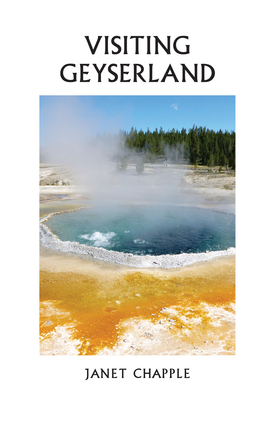 This ebook helps you find and appreciate the geysers and hot springs in the ten Yellowstone geyser basins and other hydrothermal areas that are convenient to the roads. The descriptions are excerpted from Yellowstone Treasures: The Traveler's Companion to the National Park (2013), a full-color, 400-page guidebook to the entire park. Throughout the book you'll find clear maps and anecdotes relating historical experiences with the geyser eruptions. At the front is a list of precautions to take near the dangerous hot water, as well as reminders about drinking water and other amenities you will need. At the end are resources to explore if you want to learn more about geysers, and the search function allows you to look up the description of any geyser or hot spring you encounter in the ten hydrothermal areas. Janet Chapple is a Montana native whose parents once worked at Old Faithful Inn, the historic lodge in Yellowstone Park. She has memories of wonderful times in Yellowstone Park with her sister Joan: waiting for geysers to erupt, visiting with rangers, attending slide shows and sing-alongs in the amphitheater, playing hide-and-seek in the inn, and watching as their father assigned passengers to the big yellow tour buses. Janet attended Stanford University, University of Washington, University of Southern California, and Indiana University. She is the author of four editions of Yellowstone Treasures and the cotranslator into English of Yellowstone, Land of Wonders, an 1883 travelog to and through Yellowstone by Belgian travel writer Jules Leclercq. Foreword Magazine has described her as "Yellowstone Institute student, professional cellist, and geyser geek."